Our 25th anniversary events on 17 & 22 October were a great success–thank you all for your support. The four heritage site visits attracted around 40 people at each location–and we raised $232 for the museum at the River Inn dinner & quiz night. Hooray–we’re setting a trend for the next 25 years! 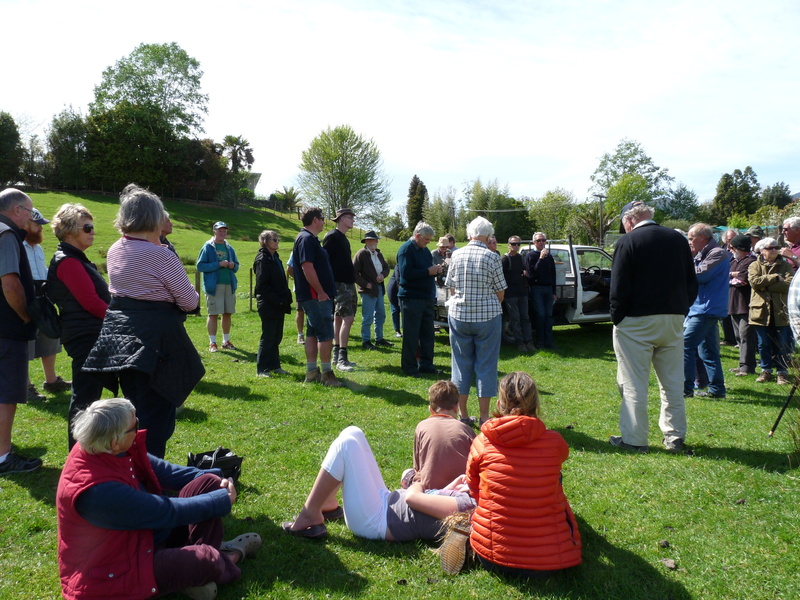 Opposite the Fonterra factory in Takaka … Lester Pomeroy & Robin Manson talk about Golden Bay dairy factories, a story that began in the 1850s. Earlier in the month, we very much enjoyed meeting Netherlands Ambassador Rob Zaagman and his wife Monique Zaagman-Bos on Monday 12 October. They’ll be back! 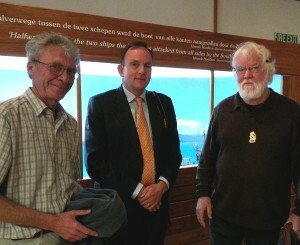 Ambassador Rob Zaagman (centre) at Golden Bay Museum on 12 October, with researchers Dave Horry (L) and Robert Jenkin (R), creator of the 1642 “first meeting” diorama behind them. Our whalery — Is happening!